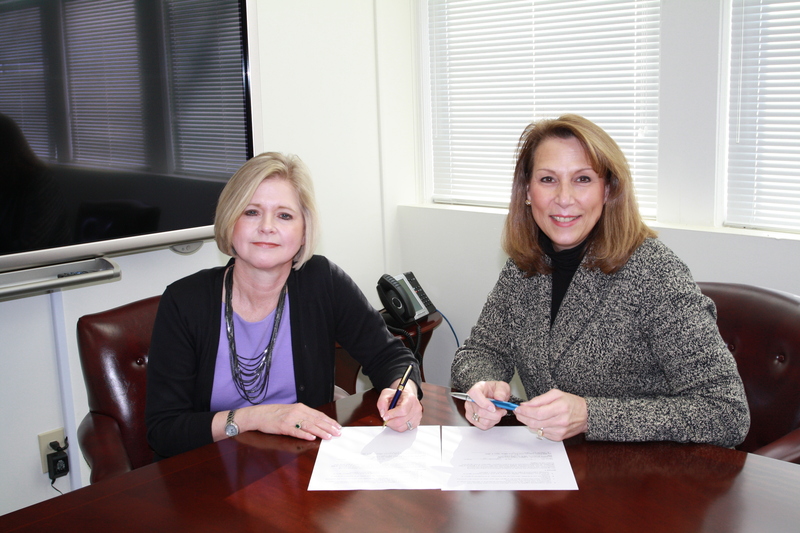 GHA Autism Supports and Pfeiffer University are pleased to announce an agreement that provides GHA employees access to Pfeiffer’s degree completion and graduate programs at a reduced tuition rate. The cooperative agreement, signed on January 14th by GHA Autism Supports CEO Dawn Allen and Pfeiffer President Dr. Colleen Keith, strengthens Pfeiffer’s Partnership Program launched last fall, which offers specialized academic programs and financial incentives to businesses and organizations with a shared understanding of furthering the educational attainment of current employees. Pfeiffer’s mission is to provide programs that will be widely accessible and affordable throughout the region for employees of partner organizations wishing to continue their educations. “Pfeiffer University is proud to partner with GHA Autism Supports, a high-quality local employer dedicated to the professional development of its staff,” said Dr. Colleen Keith. We look forward to working with them and the other corporations and nonprofit organizations participating in the Partnership Program as a strategy to meeting the demands of as global competitiveness,” said Dr. Keith. In operation since 1978, GHA Autism Supports currently serves nearly 90 individuals with autism. With the recent statistics released by the Centers for Disease Control of 1 in 68 children being identified with Autism Spectrum Disorder, the non-profit organization continues to expand its array of services including residential, vocational, in-home and community services and employs over 230 individuals in Stanly County. All employees will be eligible to participate in the program, with many courses offered in an online format. “Our partnership with Pfeiffer University allows GHA employees a great incentive for them to continue to expand their knowledge and expertise so they become more productive employees. Pfeiffer’s partnership with us also demonstrates their commitment to the community and willingness to support our local economy,” said GHA Autism Supports CEO Dawn Allen. GHA Autism Supports, CEO, Dawn Allen was awarded the “Steve Jordan Lighthouse Award” by the North Carolina Providers Council at their annual conference on October 11th. The award was presented to recognize and affirm an individual who has made significant contribution to the I/DD, MH, SA system to ensure quality of services, adequate support and advocacy for people with support and treatment needs in North Carolina. The award is named in honor of Steve Jordan, former Director of the North Carolina Division of Mental Health, Developmental and Substance Abuse Services. Mr. Jordan passed away as a result of a bicycle accident on July 4, 2012. 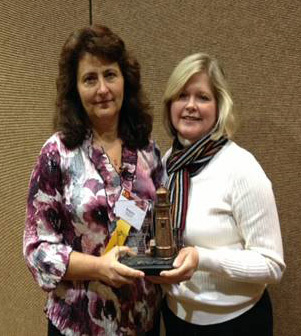 The award was present to Mrs. Allen by the NC Providers Council and Mrs. Angela Jordan, wife of Steve Jordan. GHA Autism Supports CEO Dawn Allen (far right) is joined by (left to right) renowned author and educator Dr. Stephen Shore, Dwayne Ballen, award-winning journalist and parent of a child with autism and his wife Martina Ballen, CFO of UNC Athletics and Chairman of the Board of the Autism Society of North Carolina. 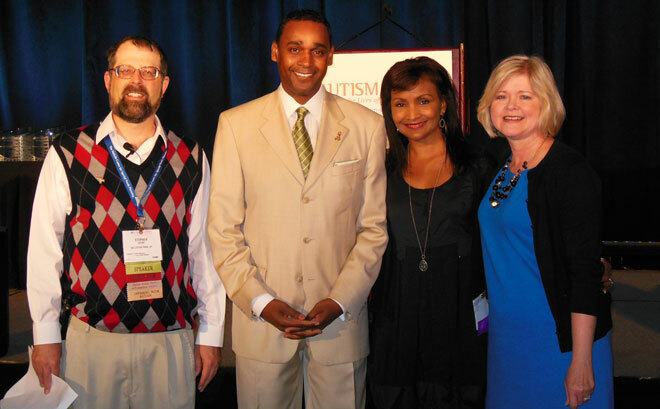 GHA Autism Supports was recently awarded the Autism Society of America’s Audrey I. Horne Memorial Award. Founded in 1965, the Autism Society of America is the nation’s leading grassroots autism organization that exists to improve the lives of all affected by autism by increasing public awareness about the day-to-day issues faced by people on the spectrum, advocating for appropriate services for individuals across the lifespan, and providing the latest information regarding treatment, education, research and advocacy. Each year, the Autism Society of America presents awards to individuals and organizations in recognition of their commitment to the autism community. Winners were announced at the Autism Society of America’s 43rd National Conference and Exposition on Autism Spectrum Disorders in San Diego, California on July 27, 2012. The Audrey I. Horne Memorial Award is presented to an individual or organization each year that has made an enduring contribution to improving adult services and the quality of life for those individuals living on the autism spectrum. Audrey Horne was a past-president of the Autism Society of America who was known as an extraordinary advocate for individuals with autism on the national stage and on the local level at her home state of South Carolina. Although Mrs. Horne passed away in 2007, the award has served as a tribute to her tireless and fearless efforts she made in advocating for individuals with autism. CARF International announced that GHA Autism Supports has been accredited for a period of three years for its Community Housing and Community Integration programs. The latest accreditation is the second consecutive Three-Year Accreditation that the international accrediting body has awarded to GHA Autism Supports. This accreditation decision represents the highest level of accreditation that can be awarded to an organization and shows the organization’s substantial conformance to CARF standards. An organization receiving a Three-Year Accreditation has put itself through a rigorous peer review process and has demonstrated to a team of surveyors during an on-site visit that its programs and services are of the highest quality, measurable, and accountable. GHA Autism Supports is a nonprofit organization with its central office located at 213 North Second Street, Albemarle, NC 28001. 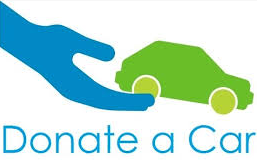 The organization has been providing services in the Albemarle area since 1978. 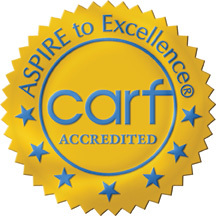 CARF is an independent, nonprofit accrediting body whose mission is to promote the quality, value, and optimal outcomes of services through a consultative accreditation process that centers on enhancing the lives of the persons served. Founded in 1966 as the Commission on Accreditation of Rehabilitation Facilities, and now known as CARF, the accrediting body establishes person-focused standards to help organizations measure and improve the quality of their programs and services.